SoleSlots is the Robin Hood in the world of copping: it aims to help you cop desired items without pain extra money to resellers. So it offers atc and autochsckout services. First of all you should fulfill personal information to get the slot. After that SoleSlots does the rest so you can enjoy the final result. 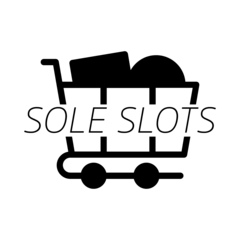 SoleSlots is the Robin Hood in the world of copping: it aims to help you cop desired items without pain extra money to resellers. So it offers atc and autochsckout services. First of all you should fulfill personal information to get the slot. After that SoleSlots does the rest so you can enjoy the final result. Also it offers special rental bots. Maximize your success with the most honest platform ever and get items for reasonable prices.